Erbil- As the date of the general referendum on independence in the Kurdistan region of Iraq approaches, Kurdish political and popular circles intensify their steps to guarantee its success. In remarks to Asharq Al-Awsat, a member of the Supreme Council for the Referendum said that delegations representing the Council would visit Arab and neighboring countries, after the end of Eid al-Adha holiday, to explain the Kurdish move, which is rejected by the central government in Baghdad and regional and foreign countries. “We have almost reached the final stages of our preparations for the referendum in the Kurdistan region,” said Hendrin Mohammed, head of the Independent Electoral Commission for Elections and Referendum in Kurdistan. “The Council has prepared all the logistical materials required for the operation, and these materials reached our warehouses,” he added, underlining the beginning of registration of parties and local and international observers to monitor the process. He pointed out that Kurdish nationals living abroad would cast their ballot through an electronic program designed for this purpose. The electronic registration of voters living abroad began on September 1 and would continue until the seventh, according to Mohammed, who said the voting process is set for them on September 23, two days before the referendum in Kurdistan. Meanwhile, the Kurdish diaspora in Copenhagen rallied in support of the independence referendum in the Kurdistan Region. “The vote of yes in the referendum on independence is a peaceful means through which our people show their will to the world,” President Masoud Barzani said, addressing the crowd. 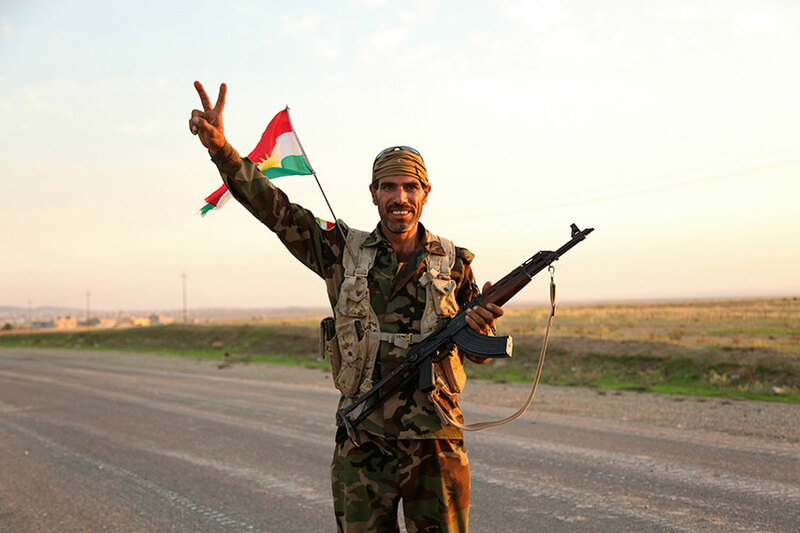 “Kurds are peace-loving people who extend a hand of brotherhood and friendship to the region,” he added. “The Iraqi people are not committed to partnership and will continue to deny it. The people of Kurdistan are not obliged to live with Iraq. We want to be two good neighbors linked by cooperation and coordination in the economic and political fields and the war against terrorism and extremism,” Barzani stated.